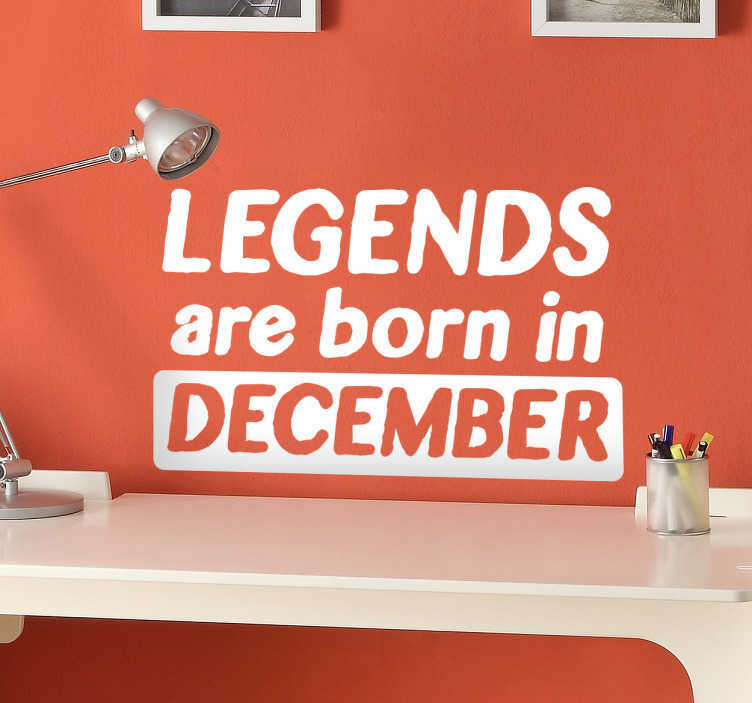 Legends are Born in... Wall Sticker. Let everyone know you're a legend with this funny wall sticker. Perfect for decorating your bedroom, living room, study or nursery. Like many of our stickers this design is available in a variety of colours and sizes. Remember to enter the month of your choice into the text box!